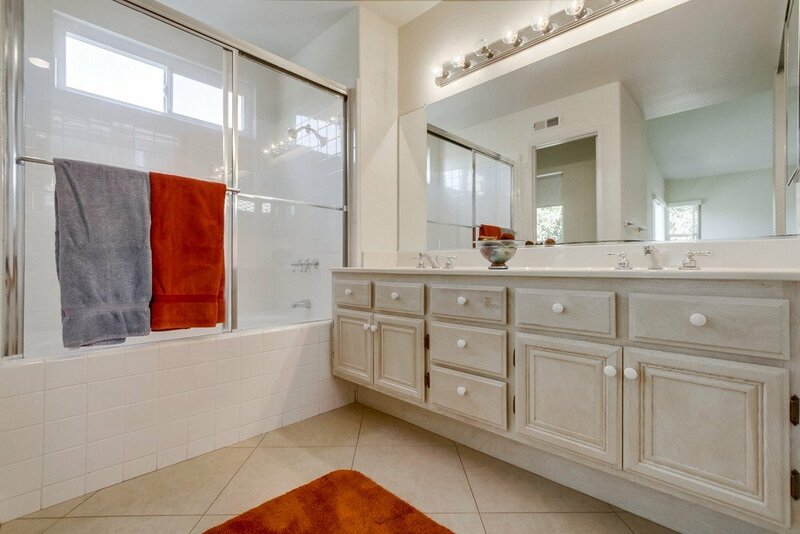 Beautifully updated home in Sabre Springs. 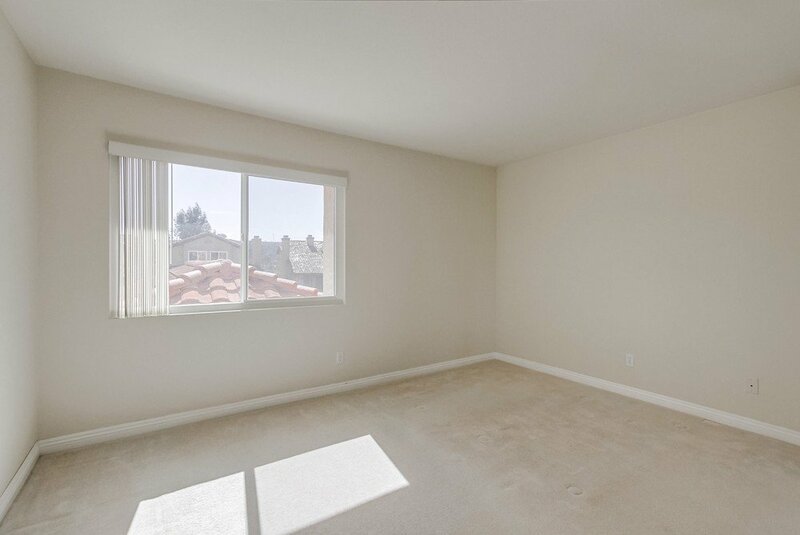 All windows have been replaced with vinyl dual pane windows. 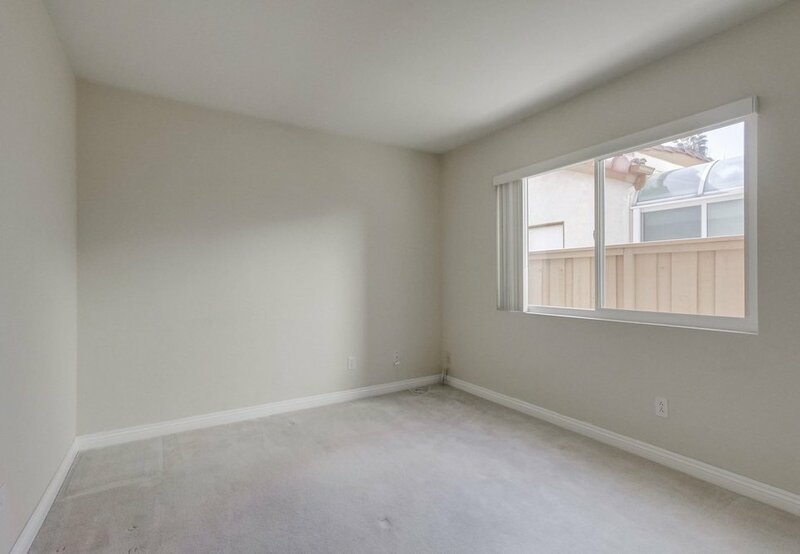 Newer air conditioner and heating system. 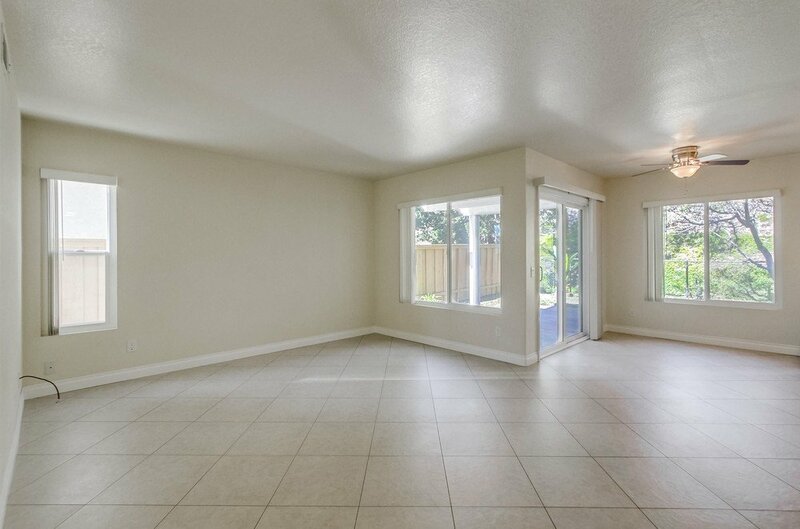 Extensive tile and high baseboards throughout most of the first floor. 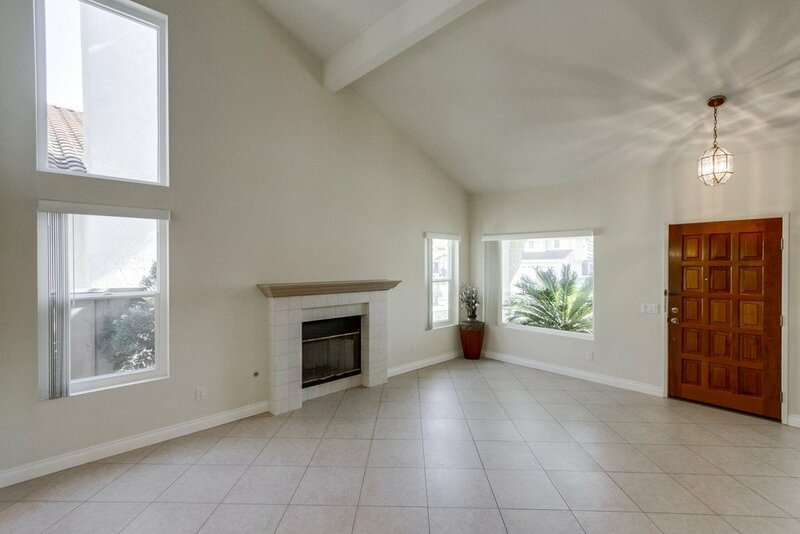 Vaulted ceilings and gas fireplace in the living room. 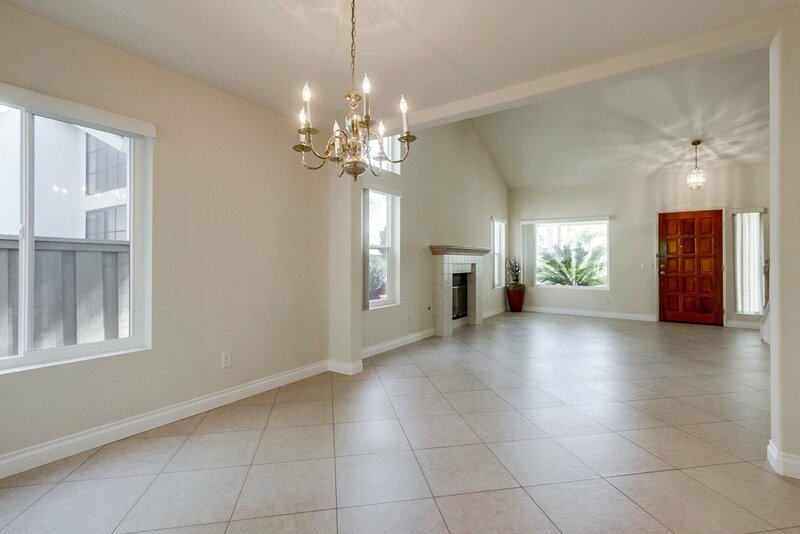 Open floor plan, the formal dining room is next to the living room. 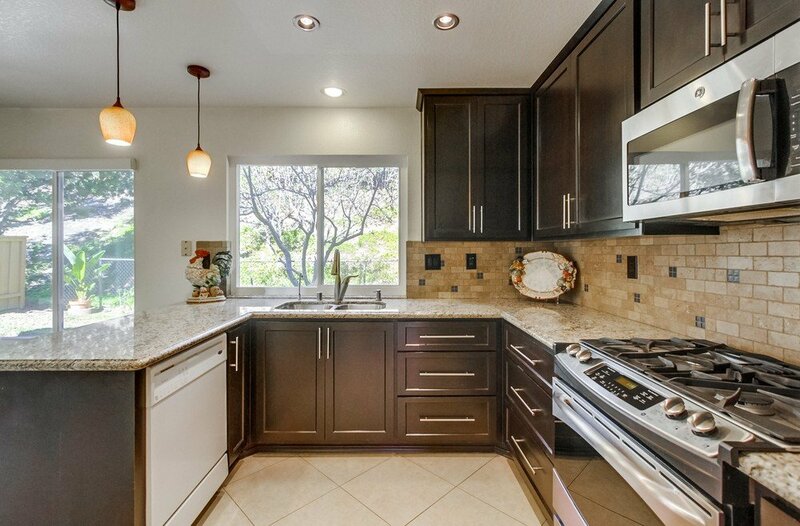 Kitchen remodeled with new cabinets, granite countertops with tile backsplash, stainless steel appliances, recessed lighting, water filtration system, and walk in pantry. 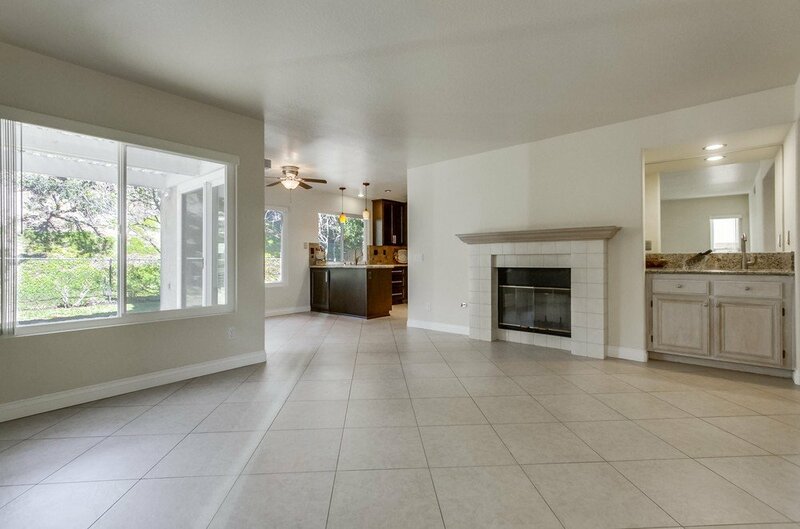 The family room and breakfast area are off the kitchen. 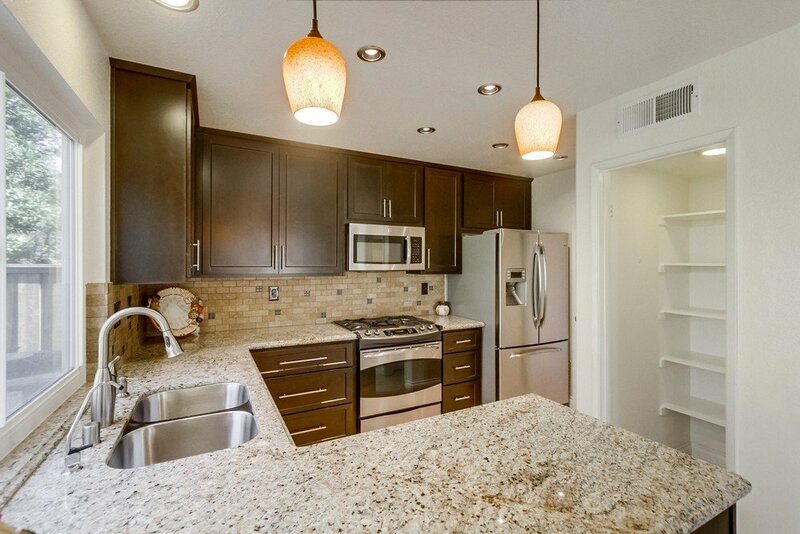 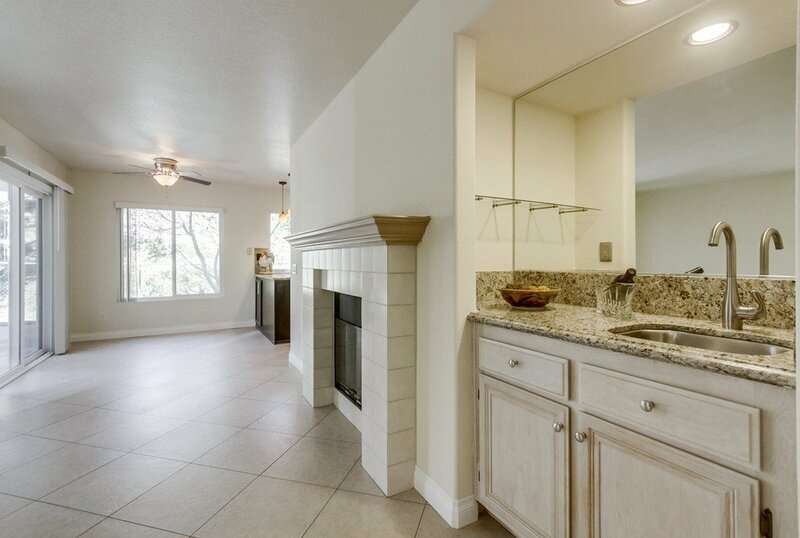 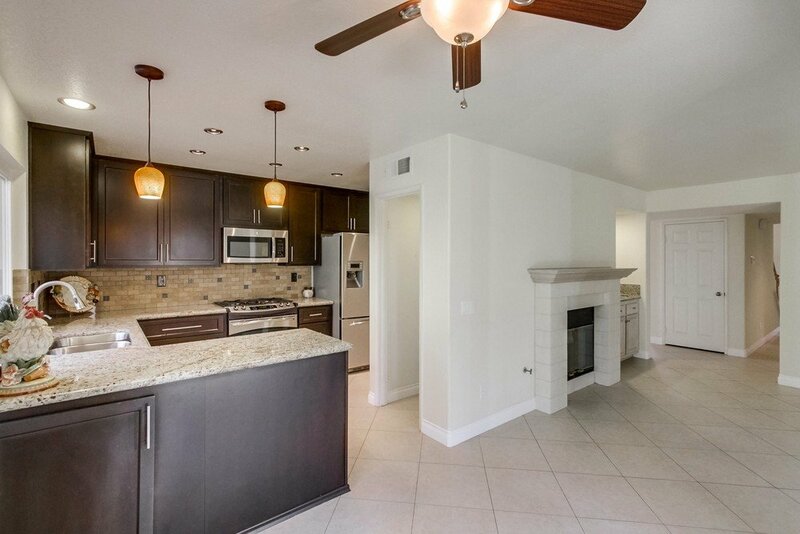 There is an additional fireplace in the family room as well as a wet bar which also has a granite countertop. 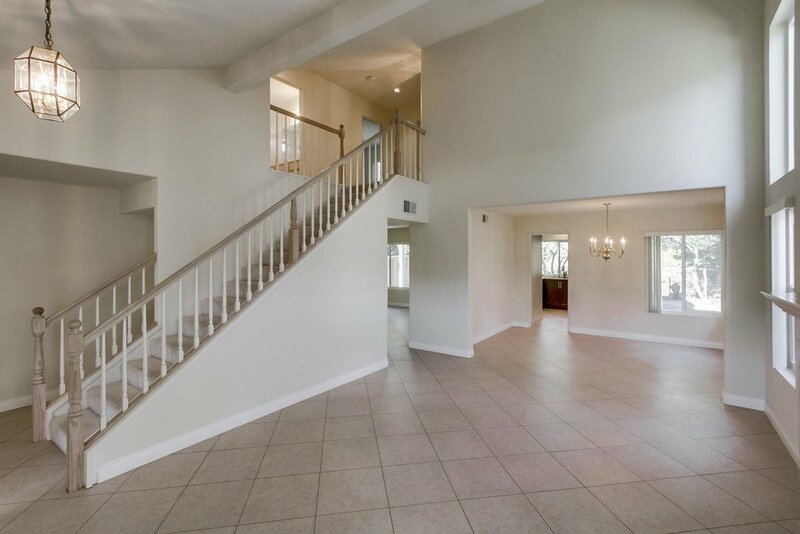 4 bedrooms and 3 full bathrooms with one bedroom and full bath downstairs. 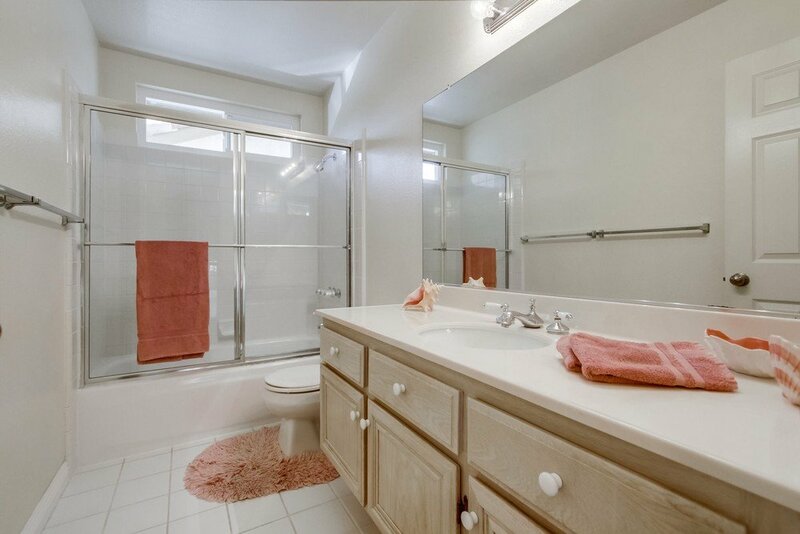 Fully carpeted second floor contains two bedrooms with shared full bath. 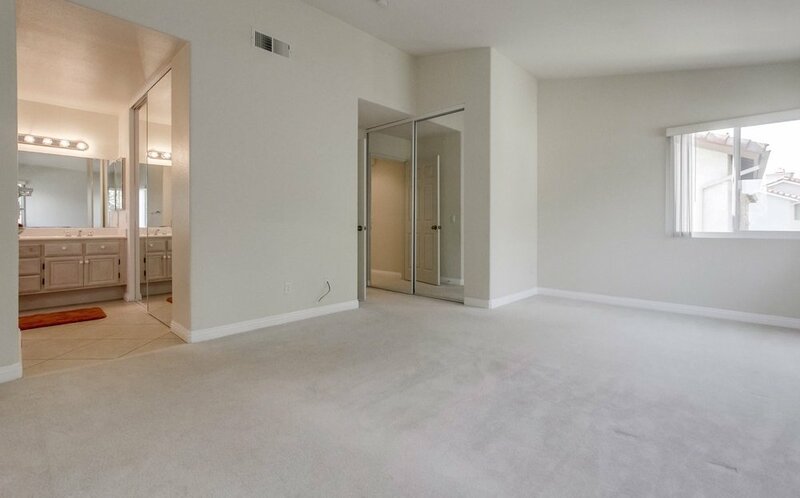 All bedrooms have mirrored doors. 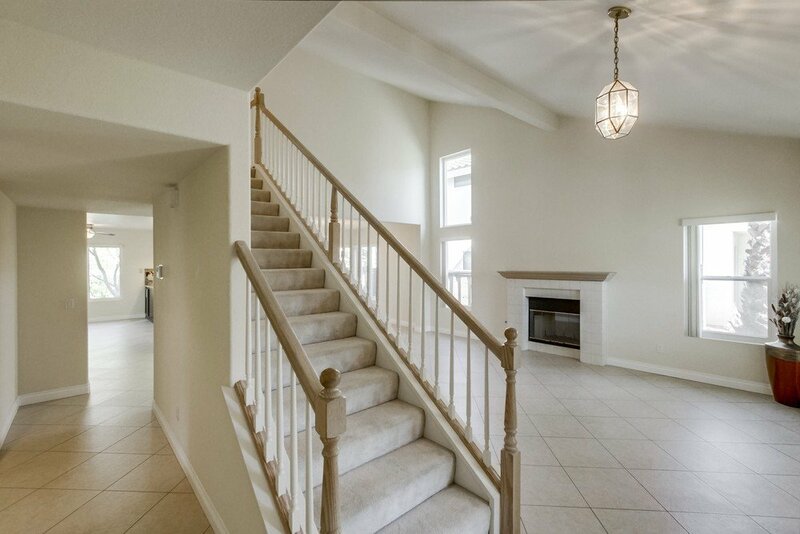 Naturally lighted master bedroom with vaulted ceiling and double mirrored closets:one walk-in with built in shelving. 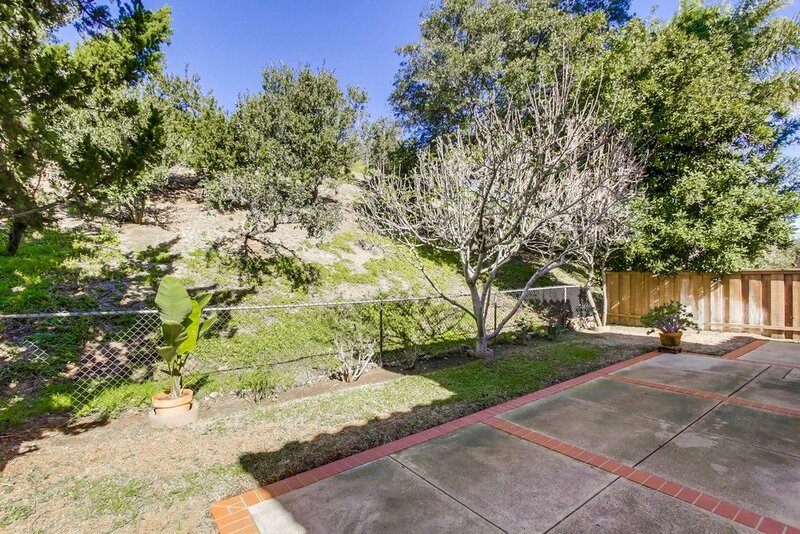 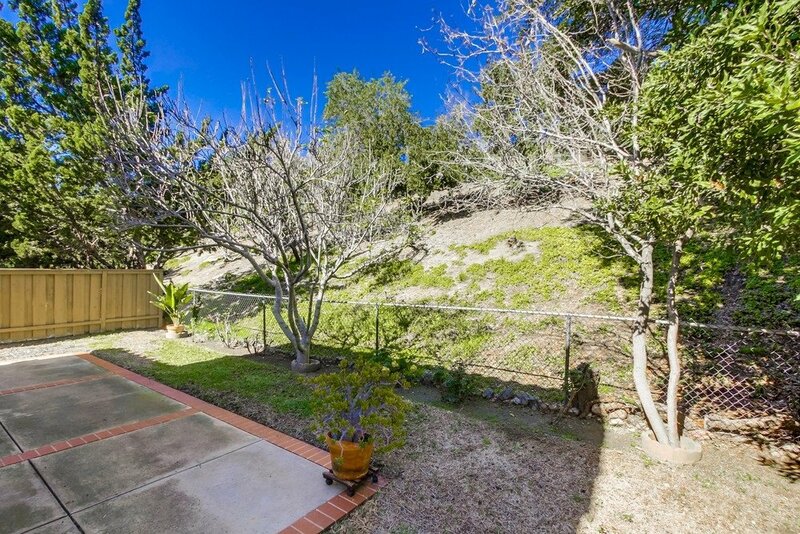 Well maintained backyard with a partially covered patio. 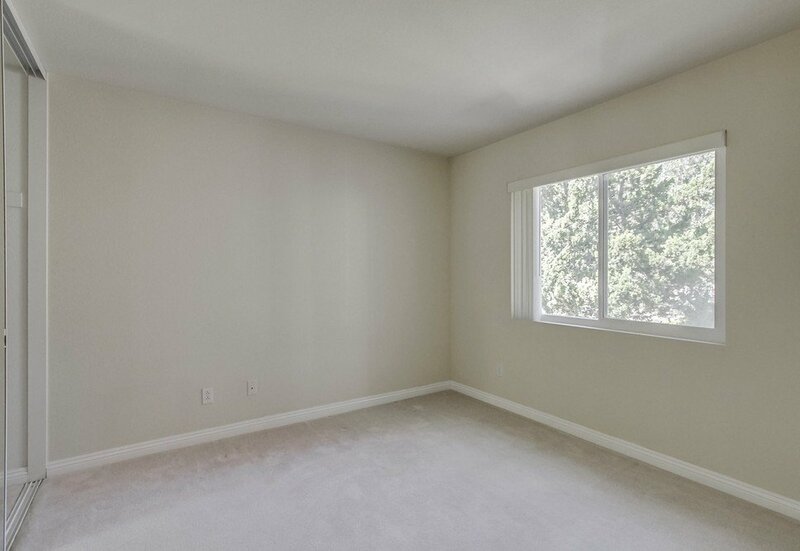 Desirable, quiet, private location with open space in the backyard and views from the front bedroom. 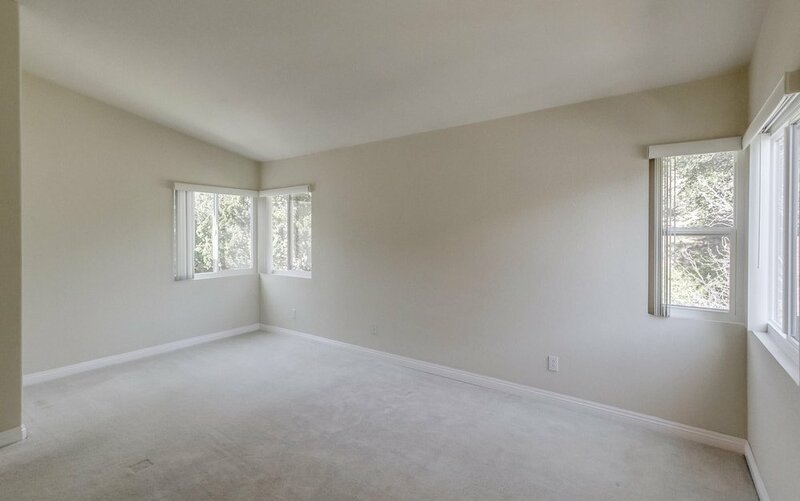 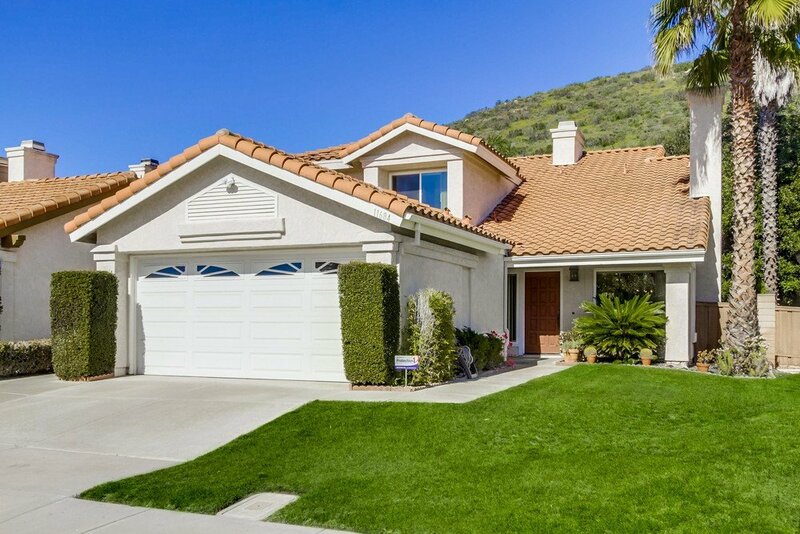 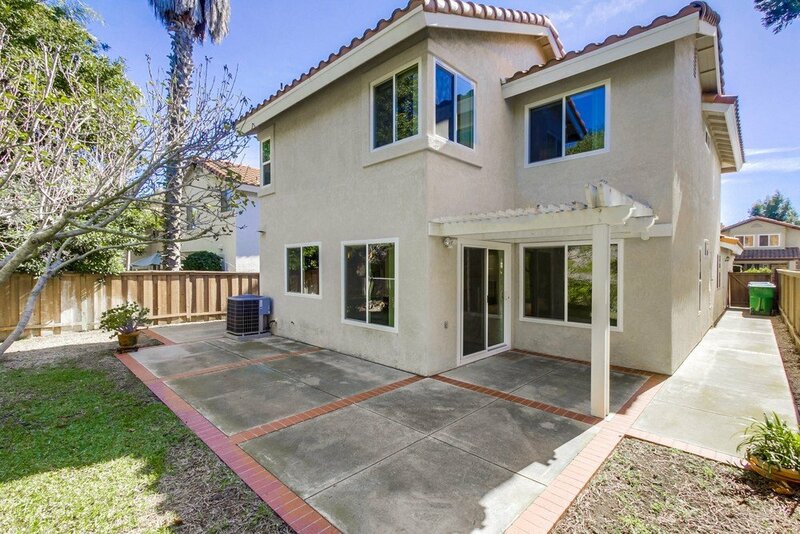 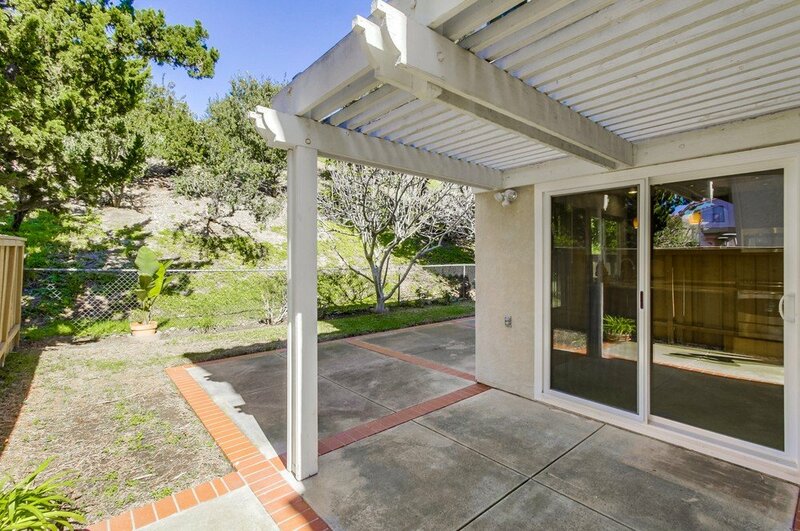 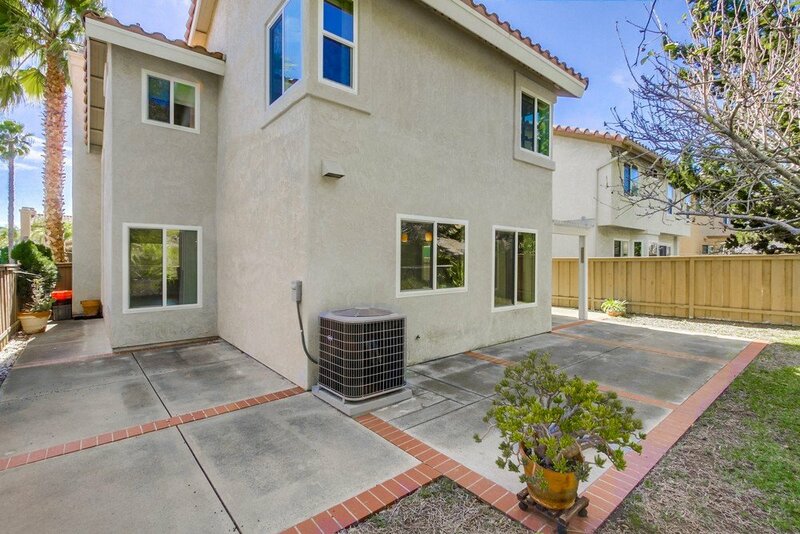 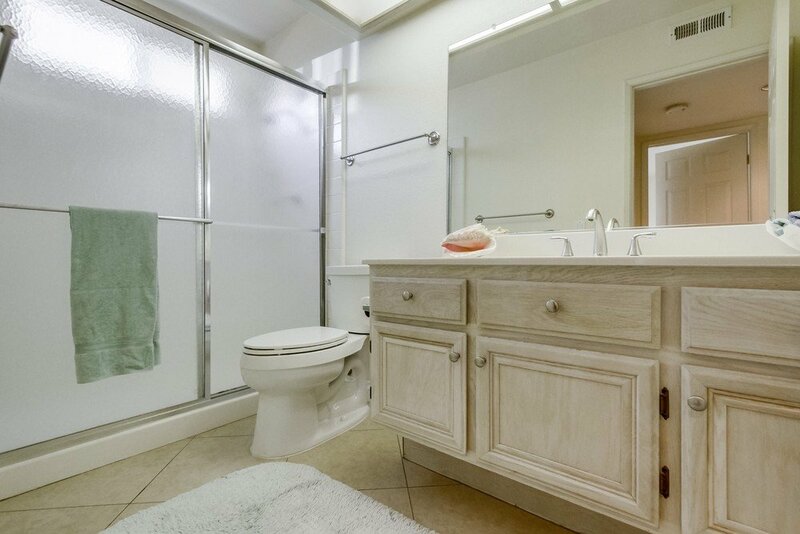 Close to freeways, Poway schools, shopping, parks, hike/bike trails. 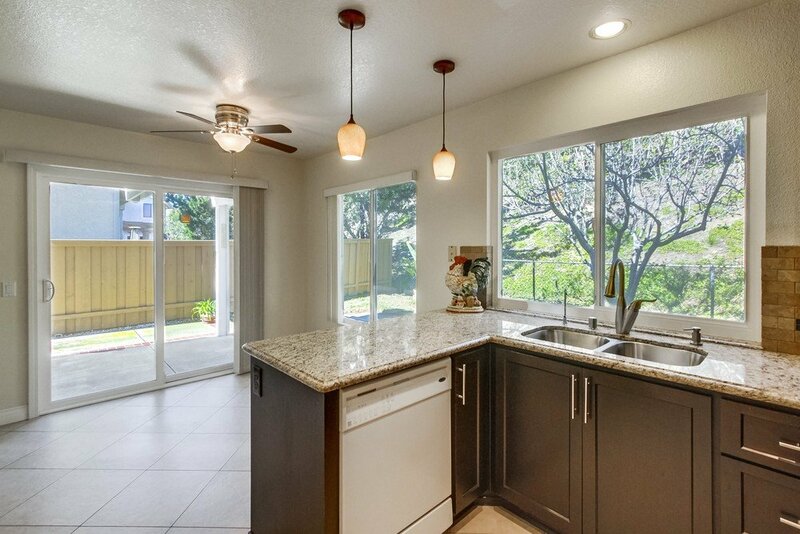 No Mello Roos fees.